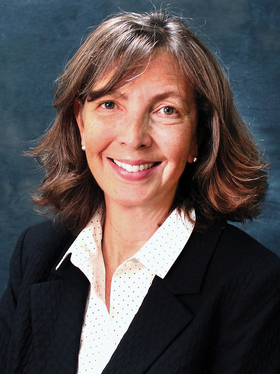 Dr. Margaret Ferguson is president and executive medical director of the Colorado Permanente Medical Group and a board member of the Council of Accountable Physician Practices. Last year I had the pleasure of meeting 2010 Oscar-winning director Kathryn Bigelow, who was honored for the Iraq war film "The Hurt Locker." She was the first woman to win this award. However, during a session that I jointly hosted with my fellow executive medical directors, Dr. Imelda Dacones and Dr. Mary Wilson, in front of an audience of physician leaders, Bigelow emphasized that she wanted to focus on being seen as a "director"—not a "female director." Whether it's directing a film or directing a healthcare organization or system, effective leadership is a monumental challenge. As Bigelow pointed out, we need to arrive at the point where gender, ethnicity and individual differences do not distinguish a type of leader; it's the qualities and the results of the leader's work that matter most. This precept is certainly true when it comes to physician leadership, where the end result ideally translates to exceptional and efficient care for the healthcare organization's patients. No matter a physician's origin or background, I believe there are three key factors that distinguish a successful road to leadership: mentorship, training and empowerment to drive change. Every healthcare organization should examine its commitment to physician leadership through this lens. Finding the right mentors. In virtually every career path, mentors play a critical role in supporting those finding their way in a profession. This is even more so in the field of medicine, where a doctor's experience relies on the expertise gained when learning from other skilled practitioners. It's important for young physicians to look for mentors they trust. A mentor should be capable of building connections with people through their ability to empathize while still encouraging the sharing of strong opinions and independent thinking. Bigelow talked about how many of her mentors were men because of the industry she's in; but in medicine, I believe that it's possible to find mentors to connect with regardless of gender or background. The key is finding someone who is willing to take the time to help, as well as commonalities in the person's approach to care or experience with similar struggles. Developing new leaders. The educational path of physicians typically doesn't include many, if any, leadership development classes. Practicing physicians are often focused on specialty skills for maintenance of professional certifications. Although medical schools are adding more management and leadership training to their curriculums, medical groups and hospitals need to invest in their physicians by supporting leadership education, with expanded professional development opportunities, often in partnership with existing professional and educational organizations that are known for their strength in management training and business education. Every physician can and should be a leader in some form. It doesn't always have to be administrative leadership, focusing on improving operations or the delivery of care. Simply having the skills to influence change and lead through action can significantly affect other members of a care team and bring about improvements for the patient's benefit. Training helps physicians identify how they can not only lead, but mentor, coach, facilitate and communicate. Empowering physicians to drive change. A true physician leader is an agent of change. Simply assuming a title without having real authority is not physician leadership. Physicians must be empowered to initiate transformation, to find and pursue ways to modify systems and processes so that they work better and more efficiently, and to always be the watchdog over the mandate to put patients first. In all of these areas, moving the needle forward on physician leadership means getting past long-standing barriers such as age, gender, race and culture. It means providing support, fostering development, and always being inspired by the change that leadership can bring about for improving the care system and benefiting the patient.